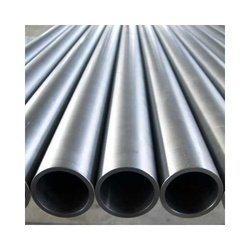 We are manufactured from good grades of steel and have find applications in various industries. Some of the industries are cement, ceramic, steel, thermal, petrochemical, power and many more. 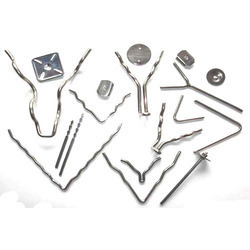 The Stainless Steel Refractory Anchors offered by us are available in assortment of shapes and sizes but usually they are in the shape of Y, U and V. In addition to this, we provide availability of Refractory Anchors in unlike specifications as per the preferences of global clients. We are tagged as one of the most illustrious Industrial Refractory Anchors Suppliers from India. 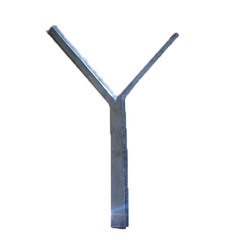 We are specialized in manufacturing superior quality Spiral Y-Anchors, these are widely used in various industrial applications. 190 X 45 X 5 MM. 185 X 105 X 5 MM. 175 X 30 X 5 MM. 155 X 70 X 5 MM. 90 X 30 X 5 MM. 80 X 30 X 5 MM. SS Refractory Anchors are manufactured from good grades of steel and have find applications in various industries. Some of the industries are cement, ceramic, steel, thermal, petrochemical, power and many more. 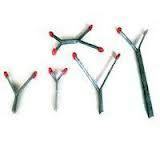 they are in the shape of Y, U and V. In addition to this, we provide availability of Refractory Anchors. By utilizing our years of experience, we bring forth a qualitative array of V-Anchors. The offered fitting is manufactured utilizing superior quality raw material and latest technology. Moreover, a team of our quality controllers conducts a series of quality tests on the entire range to seek out any possible defect. In tune with industry standard, we provide the entire range of fitting in various customized options and industry leading prices. With thorough understanding of the relevant industry, we are offering a wide range of Metal Alloys. 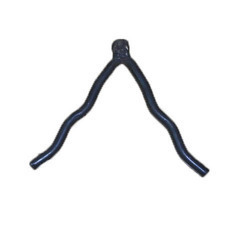 This anchor is manufactured using optimum quality raw-material and advanced technology. In tune with different requirements of our copious clients, we customize the entire range of anchor in various sizes and shapes. This anchor find applications in various industries such as cement, ceramic, steel, thermal, petrochemical, power and many more. Our offered anchor has gained exceptional value amongst our clients for its defined features. Being a customer oriented firm, we are engaged in offering a wide range of Industrial Refractory Anchor. This fitting is manufactured using optimum grade raw-material and sophisticated technology in synchronization with industry standards. It is used in industries like automobile, heavy engineering, railways and pipeline mechanisms. In order to ensure quality, the entire range is rigorously tested on various parameters by quality controllers. Keeping in mind the diverse requirements of our clients, we provide entire range in various sizes and specifications and at affordable price. Under the strict supervision of our experienced professionals, we are offering a wide collection of Ferry Alloy, Udimet. 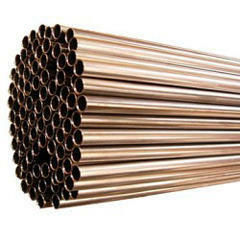 It is used in industries like automobile, heavy engineering, railways and pipeline mechanisms. Our offered fitting is availed in a variety of sizes, shapes and other such specifications to choose from. The fitting offered by us is precisely designed at our vendors highly advanced manufacturing unit following industry defined guidelines. The offered fitting can also be availed from us at the industry leading prices. RESISTOHM® alloys UDIMET®/UDIMAR® Alloys The time-tested nickel alloys and cobalt alloys are highly engineered to offer a superior combination of heat resistance, high temperature corrosion resistance, toughness and strength for the most demanding applications. Following are the specification in which materials can be supplied against your requirement.